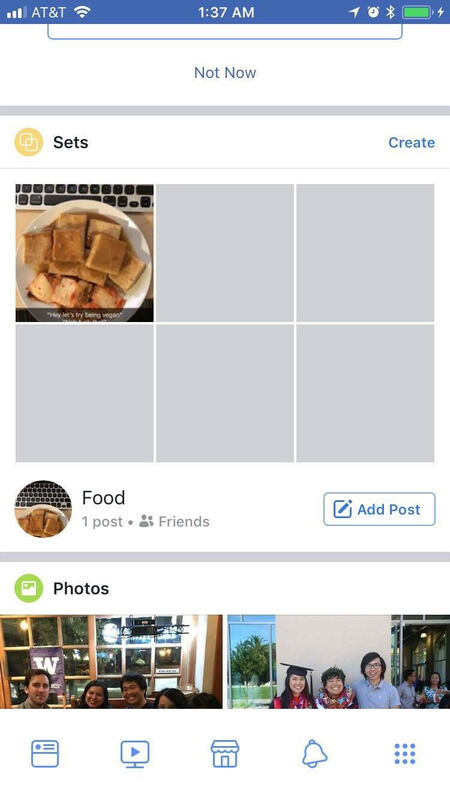 Facebook has been copying Snapchat and LinkedIn features for some time. Now, it’s turning its attention to Pinterest, with the test of a new feature – Sets. Being able to show the world what you are interested in, and to group your interests into categories, has always been a top characteristic of Pinterest. Boards have been Pinterest’s signature feature since forever, but now, Facebook wants bring its users something similar. The company is testing a new feature called “Sets” that allows you to group your interests into categories. Whether your specific interest is made up of status updates, photos or videos, they can all now be grouped together in sets, and then shared as such. Of course, this is not the first time Facebook has offered something similar. Collection ads allow users to save products directly to a Wishlist on their profile, while in April, the company launched a feature that lets you save posts in private collections. Sets are a slightly different story though. They are much more like Pinterest’s boards. The main difference from the other features, is that they are meant to be shared – closely with one or a few friends, or with everyone. TechCrunch explained that those who got access to the option recently, are able to create themed Sets on their profiles, that will be visible there, or in News Feed. All friends begin by “following” a Set by default, but they can unfollow to stop getting updates. Also, they won’t see the Set in News Feed anymore. Finally, Facebook is also testing “Secret Sets” that are private to a certain group of friends – as the name suggests. 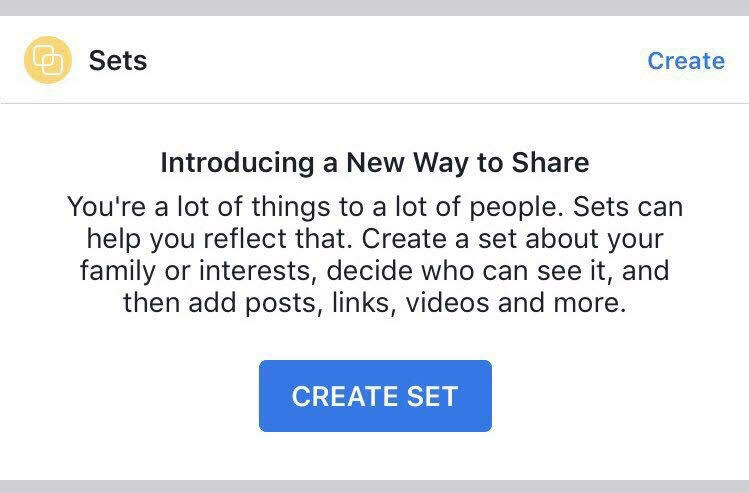 Facebook tests a way for you to save your interests in sets. A lot like Pinterest boards. What do you think about Sets? Have you seen the new feature yet?